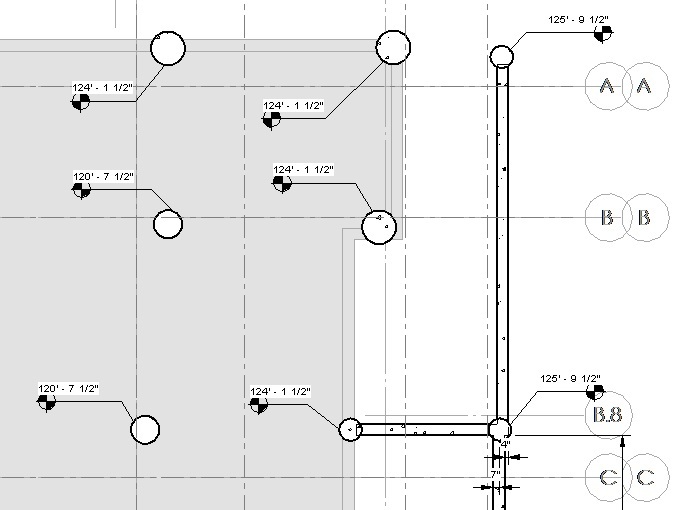 If you’ve used Revit at all, I’m sure you know what a listening dimension is, even if you’ve never heard the term before. They’re the temporary dimensions that show up when you select an object. They’re GREAT to have — I use them all the time when I know what the distance should be between two points or objects. But the listening dimensions don’t always show up where you want them. 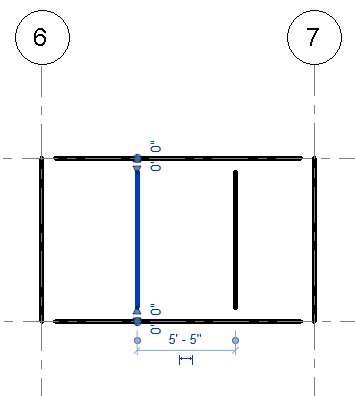 In the image above, maybe I need to set the distance from the selected beam to grid 6. 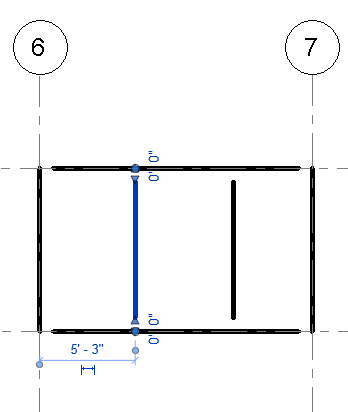 Before I learned the trick I’m going to share with you, I would have added a dimension from the the beam to the grid, changed my measurement, and deleted the dimension. But no longer! Instead, I learned (I forget where, sorry) that you can just adjust the listening dimension. Grab the blue dot (the tooltip will say “move witness line” and drag it to your preferred reference. And what’s more, this relocation is sticky — the listening dimension will appear in the same (new) place the next time you select that object.